And it’s amazing to me that the hate continues, in fact it can be said that a lot of the negativity comes from people who haven’t even seen the movie. I mean let’s be honest how can you really make an informed opinion on anything if the only reference you have is ‘Somebody else’s opinion’ Yes Batman v Superman is a divisive film, yes it does remake the Superhero movie in a new and completely different direction (more Watchmen than Avengers) but that’s exactly what this genre of film fiction needs. It needs the creativity and diversion from the norm, it presents the viewer with a film that doesn’t conform to what has gone before. This is an intelligent and realistic approach to how man would react to a godlike being amongst them, its former saviour, The Batman, though often seen as superhuman is for all intense and purpose, just a man, flawed and emotionally culpable. And with the coming of a Superman, he feels powerless and frustrated. If what you want from a comic-book movie is just action, jokes and a light hearted tale then that’s great, there are plenty of Marvel movies out there that are tailored just for you, and I applaud that take on the Superhero theme, it is a staple of its genre. 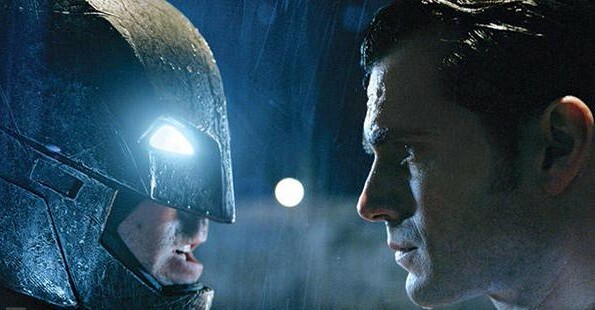 But if you’re looking for something a lot deeper, with a more mature and less linear approach, then Batman v Superman is what you’re looking for. DC and Marvel are different beasts, each with their own take on the staple Superhero, and their movies reflect this beautifully, do not allow yourself to be swayed from watching an amazingly intense take on modern mythology.This post was once again written to help counterbalance the ridiculous amount of negativity that still abounds in media, the box office takings have proven that no matter what some random internet critic says, ultimately it’s the fans who decide if something is worthy of success, and in the case of Batman v Superman that success has been assured. 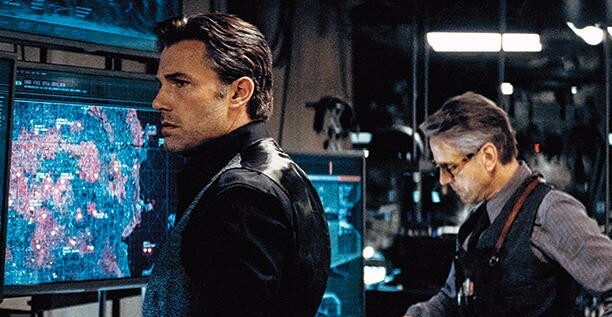 New images have appeared today that takes fans on a short tour of Ben Affleck’s Batcave from the upcoming “Batman v Superman: Dawn Of Justice” movie, the rather low res images give us an exclusive glimpse of the Caped Crusader’s base of operations, hidden deep beneath Wayne Manor. Loyal manservant Alfred Pennyworth also appears in the above pic, played by English actor Jeremy Irons, whose version of the classic character will apparently be a lot more hands on than previous live action variants, bringing him more in line with the comic-book version. Where’s the giant penny and T-Rex then? Entertainment Weekly’s exclusive coverage of Zack Snyder’s forthcoming movie “Batman v Superman: Dawn Of Justice” included not only some fantastic film stills but also some intriguing morsels of info regarding this potentially epic Superhero movie. 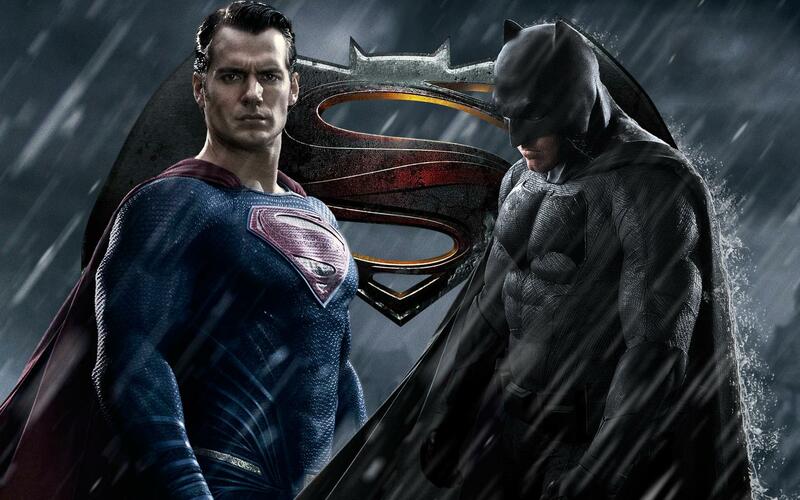 Batman v Superman: Dawn Of Justice will be released in March 2016, and we can’t wait!! 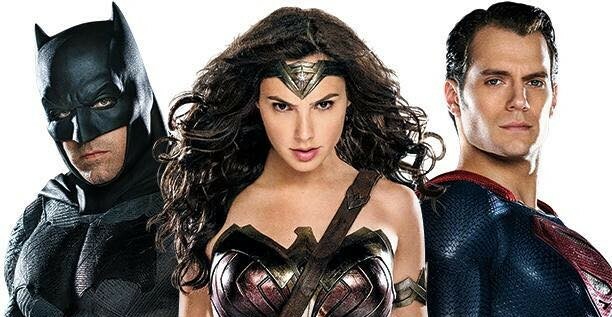 Batman, Superman, Wonder Woman Copyright: DC Comics. Greek general Themistocles rallies his meagre Athenian forces to stem the tide of the encroaching Persian army, led by God-King Xerxes and the vengeful Artemisia, commander of the Persian navy. 300: Rise Of An Empire, the sequel to Zack Snyder’s 2006 film “300” is an interesting beast, the events in this notable follow up take place before, during and after the events of the original film. In fact the storyline is so dramatically and cleverly interwoven, that it almost feels like it’s a chapter of the original film that was removed for time constraints. What helps propel this image is its amazing visual presence that mirrors its forebear in both, gloriously vivid comic-book inspired violence and overtly stylised graphic continuity, and also echoes masterfully, writer/artist Frank Miller’s original graphic novel “Xerxes”. 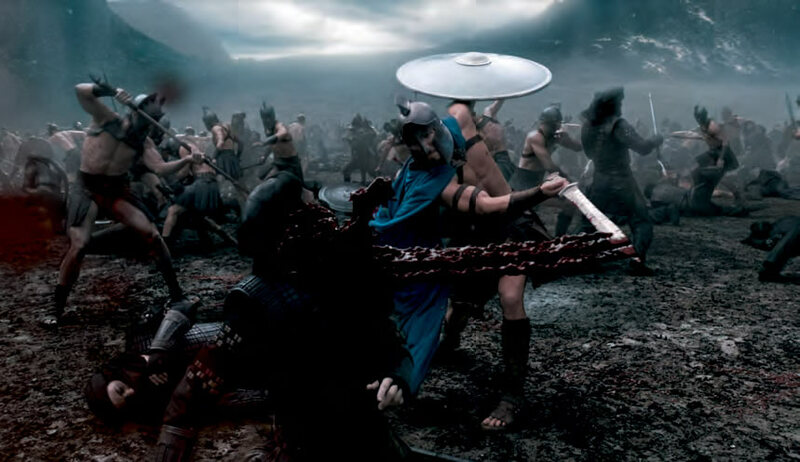 The film opens at the legendary Battle of Marathon, which in continuity of the film franchise takes place ten years before the events of the original film. This battle is the catalyst of the upcoming war between the varying Greek city-states and the combined forces of the Persian army, with the heavily outnumbered Athenian shock troops taking the fight directly to the newly disembarked Persian soldiers, catching them off guard and securing an early victory for the Greeks. During this engagement, Greek hero Themistocles, looses an arrow that will not only set the stage for Prince Xerxes transformation into the tyrannical God-King, but also his eventual march to gain ascendancy over the varying city-states of Greece. This opening battle sequence sets the precedence and tone for the rest of the film, but where Rise differs from its forebear is in its use of epic naval battles. With the heavily outnumbered but highly skilled and ingenious Athenian fleet, led by General Themistocles, meeting head on, the massive and overwhelming Persian armada controlled by the beautiful but malefic Artemisia, played wonderfully by actress Eva Green. Stunning and deadly, Artemisia takes centre stage as the protagonist of the film, and also the real power behind the throne held by Xerxes. Themistocles is portrayed by Australian actor Sullivan Stapleton, and though he ultimately is not as memorable as Gerard Butler’s outstanding role as Leonidas in the original film, he still puts in an impassioned and engaging turn as the celebrated Athenian hero. Returning cast members include, Lena Headey, as Leonidas’ grieving widow Queen Gorgo, David Wenham as Spartan elite Dilios, and of course Rodrigo Santoro reprising his spectacular performance as the imposing God-King Xerxes. Also returning to the franchise is original 300 director Zack Snyder, who shares credit with Kurt Johnstad for both the original screenplay, and as lead producer. Plus writer/artist, Frank Miller returns as executive producer and advisor. Jam packed with amazing visuals, kinetic action sequences and ridiculously over the top, blood and gore, Rise of an Empire may not quite match its big brother in originality or acting splendour, what it does though is provide the viewer with a fantastically well produced sequel that is in equal measures, engaging, violent and epic in scale. Special mention must go to the fantastic end credits, that mix the striking visual style of Frank Miller’s original graphic novel and a rousing end piece that is an almost perfect fusion of Black Sabbath’s War-Pig, and the films own main theme tune. Though not critically lauded, the film has a strong and fervent fan base (myself included) that are vocal in their defence of the underrated movie. Its initial opening weekend was successful, with the film regaining almost half of its original budget, and has gone on to surpass this via dvd and blue-ray sales. If you’re a fan of the original 300 but have been hesitant in watching this for fear of it being a poor sequel, dive on in, the film is highly recommended. Sublime visuals, good acting and hyper stylised, gloriously bloody battle sequences make for a fun popcorn movie that is infinitely rewatchable.